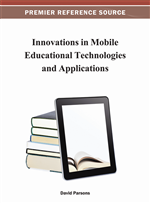 In this paper, the authors present a survey of published research in mobile learning. The authors investigate 114 papers from mLearn 2005, 2007, and 2008, and classify them according to two dimensions: research method and research purpose. Research methods and purposes are important parts of how research is conducted. Opinions and approaches toward research differ greatly. The classified papers are evenly distributed among the research methods investigated, with one exception, there are few in basic research. In terms of research purpose, papers that describe research are well represented but there is a lack of papers targeting evaluation. Papers recounting both basic research and research evaluation are imperative, as they help a research field to mature and researchers to avoid repeating known pitfalls. This maturity, in turn, leads to better scalability and sustainability for future research efforts in the mobile learning community. Naismith et al., (2004) defines mobile learning as mobile technology that supports learning across locations, or learning that takes advantage of the opportunities offered by portable technologies. There has been a rapid growth in research, development, and deployment of mobile learning in recent years (Taylor et al., 2006). According to Kukulska-Hulme et al., (2009), this rapid growth has led to a number of significant activities in schools, workplaces, museums, cities, and rural areas around the world. There are, however, a number of issues identified that need further attention (Sharples et al., 2008). Research conducted into mobile learning is often small-scale and has seldom been developed into learning aids that are in wide use; hence we are faced with limitations of both scale and sustainability (Keegan, 2005). The field is compelled to evolve and find common ground in order to develop comprehensive principles and realistic visions, moving beyond specific implementations and branded technologies (Cobcroft et al., 2006). In addition, Traxler and Kukulska-Hulme (2005) conclude that few previous studies have been based on sound theory. A young research field is often highly opportunistic and technology driven. A primary focus is set on producing solutions and less attention is given to research methods and the execution of the scientific process. As mobile learning matures it is necessary to examine how this line of research is being conducted. At the same time we need to understand the impact of the technology and comprehend the knowledge that is produced. This introduces challenges to all aspects of mobile learning research. Vavoula and Sharples (2009) state that as the understanding of mobile learning deepens, the “borrowed” frameworks, methods, and tools might no longer be adequate and need to be processed and evolved. They in turn propose a framework built on holistic and systematic evaluation divided into three levels of granularity (micro, meso, and macro) to guide data collection. Vavoula and Sharples (2009) also note that mixed methods are increasingly present in the design of evaluation for mobile learning. This can also be seen in terms of how the entire research process is conducted. Realizing and consciously being aware of the spectrum of research methods will, in the long term, allow us to influence the future direction of the research done in the field of mobile learning. Emphasis on research methods and research purposes is important as these decide how research results are used and interpreted. Making methods and purposes explicit is also important because they help a research community to be built and allow this community to formally share results. Publications produced with explicit and sound method and purpose are outlets for knowledge transfer. For instance, Traxler (2007) specifies that the significant challenges for research in mobile learning lies in scalability and sustainability, and therefore frameworks, methods, and tools need to respond to these challenges. Hence, it is necessary to have a thorough understanding of the fit between the approach chosen and the goal of the research. Wingkvist and Ericsson (2009) suggest careful scaling according to pre-set specifications to increase the sustainability of research initiatives in mobile learning.